S. C. Pei and J. J. Ding, “Closed form discrete fractional and affine Fourier transforms,” IEEE Trans. Signal Processing, vol. 48, no. 5, pp. 1338-1353, May 2000. S. C. Pei and J. J. Ding, “The integer transforms analogous to discrete trigonometric transforms,” IEEE Trans. Signal Processing, vol. 48, no. 12, pp. 3345-3364, Dec. 2000. S. C. Pei and J. J. Ding, “Simplified fractional Fourier transforms,” J. Opt. Soc. Am. A, vol. 17, no. 12, pp. 2355-2367, Dec. 2000. S. C. Pei and J. J. Ding, “Two-dimensional affine generalized fractional Fourier transform,” IEEE Trans. Signal Processing, vol. 49, no. 4, pp. 878-897, Apr. 2001. S. C. Pei and J. J. Ding, “Relations between fractional operations and time-frequency distributions, and their applications,” IEEE Trans. Signal Processing, vol. 49, no. 8, pp. 1638-1655, Aug. 2001. S. C. Pei, J. J. Ding, and J. H. Chang, “Efficient implementation of quaternion Fourier transform, convolution, and correlation by 2-D complex FFT,” IEEE Trans. Signal Processing, vol. 49, no. 11, pp. 2783-2797, Nov. 2001. S. C. Pei and J. J. Ding, “Fractional, canonical, and simplified fractional cosine, sine and Hartley transforms,” IEEE Trans. Signal Processing, vol. 50, no. 7, pp. 1661-1680, Jul. 2002. S. C. Pei and J. J. Ding, “Eigenfunctions of linear canonical transform,” IEEE Trans. Signal Processing, vol. 50, no. 1, pp. 11-26, Jan. 2002. S. C. Pei and J. J. Ding, “Eigenfunctions of the offset Fourier, fractional Fourier, and linear canonical transforms,” J. Opt. Soc. Am. A, vol. 20, no. 3, pp. 522-532, March 2003. S. C. Pei, J. H. Chang, and J. J. Ding, “Commutative reduced biquaternions and their Fourier transform for signal and image processing,” IEEE Trans. Signal Processing, vol. 52, no. 7, pp. 2012-2031, July 2004. S. C. Pei and J. J. Ding, “Generalized eigenvectors and fractionalization of offset DFTs and DCTs,” IEEE Trans. Signal Processing, vol. 52, no. 7, pp. 2032-2046, July 2004. S. C. Pei and J. J. Ding, “Generalized prolate spheroidal wave functions for optical finite fractional Fourier and linear canonical transforms,” J. Opt. Soc. Am. A, vol. 22, no. 3, pp. 460-474, March 2005. S. C. Pei, W. L. Hsue, and J. J. Ding, “Discrete fractional Fourier transform based on new nearly tridiagonal commuting matrices,” IEEE Trans. Signal Processing, vol. 54, no. 10, pp. 3815-3828, Oct. 2006. S. C. Pei and J. J. Ding, “Relations between Gabor transforms and fractional Fourier transforms and their applications for signal processing,” IEEE Trans. Signal Processing, vol. 55, no. 10, pp. 4839-4850, Oct. 2007. S. C. Pei and J. J. Ding, “Reversible integer color transform,” IEEE Trans. Image Processing, vol. 16, no. 6, pp. 1686-1690, June 2007. S. C. Pei and J. J. Ding, “Eigenfunctions of Fourier and fractional Fourier transforms with complex offsets and parameters,” IEEE Trans. Circuits Syst. I, vol. 54, no. 7, pp. 1599-1611, July 2007. S. C. Pei and J. J. Ding, “Generalized commuting matrices and their eigenvectors for DFTs, offset DFTs, and other periodic operations,” IEEE Trans. Signal Processing, vol. 56, no. 8, pp. 3891-3904, Aug. 2008. S. C. Pei, J. H. Chang, J. J. Ding, and M, Y, Chen, “Eigenvalues and singular value decompositions of reduced biquaternion matrices,” IEEE Trans. Circuits Syst. I, vol. 55, no. 9, pp. 2673-2685, Oct. 2008. S. C. Pei, C. C. Wen, and J. J. Ding, “Closed-form orthogonal DFT eigenvectors generated by complete generalized Legendre sequence,” IEEE Trans. Circuits Syst. I, vol. 55, no. 11, pp. 3469-3479, Dec. 2008. S. C. Pei, W. L. Hsue, and J. J. Ding, “DFT-commuting matrix with arbitrary or infinite order second derivative approximation,” IEEE Trans. Signal Processing, vol. 57, no. 1, pp. 390-394, Jan. 2009. S. C. Pei and J. J. Ding, “Fractional Fourier transform, Wigner distribution, and filter design for stationary and nonstationary random processes,” IEEE Trans. Signal Processing, vol. 58, no. 8, pp. 4079-4092, Aug. 2010. J. J. Ding, P. Y. Lin, and H. H. Chen, “Generalized zigzag scanning algorithm for non-square blocks,” Lecture Notes in Computer Science, vol. 6524, pp. 252-262, Jan. 2011. J. J. Ding, P. Y. Lin, J. D. Huang, T. H. Lee, and H. H. Chen, “Morphology-based shape adaptive compression,” Lecture Notes in Computer Science, vol. 6524, pp. 168-176, Jan. 2011. J. J. Ding and S. C. Pei, “Eigenfunctions and self-imaging phenomena of the two dimensional nonseparable linear canonical transform,” J. Opt. Soc. Am. A, vol. 28, iss. 2, pp. 82-95, Feb. 2011. S. C. Pei, C. C. Wen, and J. J. Ding, “Closed form orthogonal number theoretic transform eigenvectors and the fast fractional NTT,” IEEE Trans. Signal Processing, vol. 59, no. 5, pp. 2124-2135, May 2011. S. C. Pei, P. W. Wang, J. J. Ding, and C. C. Wen, “Elimination of the discretization side-effect in the S transform using folded windows,” Signal Processing, vol. 91, no. 6, pp. 1466-1475, June 2011. Y. T. Tseng, J. J. Ding, and C. S. Liu, “Analysis of attenuation measurements in ocean sediments using normal incidence chirp sonar,” vol. 37, no. 3, pp. 533-543, IEEE Journal of Oceanic Engineering, July 2012. S. C. Pei, C. C. Tseng, M. H. Yeh, and J, J, Ding, "A new definition of continuous fractional Hartley transform'', 1998 IEEE Int'l Conference on Acoust. Speech, Signal Processing. Seattle, USA, pp.1485-1488., May 1998. J. J. Ding and S. C. Pei, “2-D affine generalized fractional Fourier transform,” ICASSP’99, vol. 6, pp. 3181-3184, March, 1999. J. J. Ding and S. C. Pei, “Integer Fourier transform,” 一九九九民生電子研討會: 數位視訊及多媒體通訊, Oct. 1999. S. C. Pei and J. J. Ding, “Integer discrete Fourier transform and its extension to integer trigonometric transforms,” ISCAS, vol. 5, pp. 513-516, May 2000. S. C. Pei and J. J. Ding, “Eigenfunctions of the canonical transform and the self-imaging problems in optical system,” ICASSP’00, vol. 1, pp. 73-76, June 2000. S. C. Pei, J. J. Ding, and J. H. Chang, “Color pattern recognition by quaternion correlation,” ICIP 2001, vol. 1, pp. 894-897, Oct. 2001. S. C. Pei and J. J. Ding, “Fractional, canonical, and simplified fractional cosine transforms,” ICASSP’01, vol. 6, pp. 3545-3548, May 2001. S. C. Pei and J. J. Ding, “Saving the bandwidth in the fractional domain by generalized Hilbert transform pair relation,” ISCAS 2003, vol. 4, pp. 89-92, May 2003. S. C. Pei and J. J. Ding, “The generalized radial Hilbert transform and its applications to 2-D edge detection (any direction or specified directions),” ICASSP 2003, vol. 3, pp. 357-360, Apr. 2003. S. C. Pei, C. L. Wu, and J. J. Ding, “Simplified structures for two-dimensional adaptive notch filters,” ISCAS 2003, vol. 4, pp. 416-419, May 2003. S. C. Pei, J. H. Chang, and J. J. Ding, “Quaternion matrix singular value decomposition and its applications for color image processing,” International Conference on Image Processing 2003, vol. 1, pp. 805-808, Sept. 2003. 貝蘇章, 丁建均, “相位金匙及影像的編碼、轉換、加密解密,” 國防工業訓儲制度九十二年度研發成果發表展, 2003. 貝蘇章, 丁建均, “偏移傅式、分數傅式、線性完整轉換的固有函數”, 國防工業訓儲制度九十二年度研發成果發表展, 2004. J. J. Ding and S. C. Pei, “Reducing sampling error by prolate spheroidal wave functions and fractional Fourier transform”, Proc. IEEE Int. Conf. Acoust., Speech, Signal Process., vol. 4, pp. 217-220, March 2005. S. C. Pei and J. J. Ding, “Reversible Integer Color Transform with Bit-Constraint”, International Conference on Image Processing, vol. 3, pp. 964-967, Sept. 2005. S. C. Pei and J. J. Ding, “New Corner Detection Algorithm by Tangent and Vertical Axes and Case Table”, International Conference on Image Processing, vol. 1, pp. 365-368, Sept. 2005. J. J. Ding and S. C. Pei, “Fractional Fourier transforms and Wigner distribution functions for stationary and non-stationary random process”, ICASSP, vol. 3, pp. 21-24, May 2006. S. C. Pei and J. J. Ding, “Improved reversible integer transform”, ISCAS, pp. 1091-1094, May 2006. S. C. Pei and J. J. Ding, “Relations between Gabor transforms and fractional Fourier transforms and their applications for signal processing”, EUSIPCO, Sept. 2006, available in http://www.eurasip.org/Proceedings/Eusipco/Eusipco2006/papers/ 1568981197.pdf. Y. C. Zeng, S. C. Pei and J. J. Ding, “DCT-based image protection using dual-domain bi-watermarking algorithm”, ICIP, pp. 2581-2584, Oct. 2006. Y. C. Zeng, S. C. Pei and J. J. Ding, “Color images enhancement using weighted histogram separation, ICIP, pp. 2889-2892, Oct. 2006. S. C. Pei and J. J. Ding, “Scaled lifting scheme and generalized reversible integer transform,” ISCAS, pp. 3203-3206, May 2007. 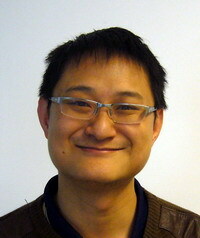 S. C. Pei and J. J. Ding, “Improved Harris’ algorithm for corner and edge detections,” ICIP, vol. 3, pp. 57-60, Sept. 2007. S. C. Pei and J. J. Ding, “Discrete-to-discrete prolate spheroidal wave functions and finite duration discrete fractional Fourier transform,” EUSIPCO, pp. 2244-2248, Sept. 2007. S. C. Pei and J. J. Ding, “Quaternions and biquaternions for symmetric Markov-chain system analysis,” EUSIPCO, pp. 1337-1341, Sept. 2007. J. J. Ding, S. C. Pei, J. D. Huang, G. C. Guo, Y. C. Lin, N. C. Shen, and Y. S. Zhang, “Short response Hilbert transform for edge detection,” CVGIP, Aug. 2007. S. C. Pei, W. L. Hsue, and J. J. Ding, “Coefficient-truncated higher-order commuting matrices of the discrete Fourier transform,” ICASSP, pp. 3545-3548, Apr. 2008. S. C. Pei and J. J. Ding, “Short response Hilbert transform for edge detection,” IEEE Asia Pacific Conference on Circuits and Systems, Macao, pp. 340-343, Dec. 2008. J. J. Ding, J. D. Huang, T. H. H. Lee, and K. H. Hsu, “Improved arbitrary-shape image compression by morphological segmentation,” CVGIP, Aug. 2008. J. J. Ding, J. D. Huang, C. J. Kuo, and W. F. Wang, “Asymmetric Fourier descriptor for unclosed segment description,” CVGIP, Aug. 2008. S. C. Pei and J. J. Ding, “Natural images phase encoding and encryption with the same spectrum amplitude,” ISCAS, pp. 3174-3177, May 2009. S. C. Pei and J. J. Ding, “Properties, digital implementation, applications, and self image phenomena of the Gyrator transform,” European Signal Processing Conference, Aug. 2009, available in http://www.eurasip.org/Proceedings/ Eusipco/Eusipco2009/contents/papers/1569192840.pdf. S. C. Pei and J. J. Ding, “Generalizing the Jacket transform by sub orthogonality extension,” published by European Signal Processing Conference, Aug. 2009. S. C. Pei, J. J. Ding, P. Y. Lin, and T. H. H. Lee, “Two-dimensional orthogonal DCT expansion in triangular and trapezoid regions,” CVGIP, Aug. 2009. S. C. Pei and J. J. Ding, “Uncertainty principle of the 2-D affine generalized fractional Fourier transform,” published by APSIPA Annual Summit and Conference, Oct. 2009. S. C. Pei and J. J. Ding, “Improved reversible integer-to-integer color transforms,” published by IEEE International Conference on Image Processing, Nov. 2009. S. C. Pei, J. J. Ding, and T. H. H. Lee, “Two-dimensional orthogonal DCT expansion in triangular and trapezoid regions,” published by VCIP, 2010. J. J. Ding, S. C. Pei. P. W. Wang, and W. F. Wang, “Hybrid fast algorithm for S transforms,” European Signal Processing Conference, Aalborg, Denmark, pp. 1747-1751, Aug. 2010. S. C. Pei, J. J. Ding, and K. W. Chang, “Eigenfunctions, eigenvalues, and fractionalization of the discrete quaternion and biquaternion Fourier transforms,” European Signal Processing Conference, Aalborg, Denmark, pp. 1874-1878, Aug. 2010. W. Y. Wei, H. H. Chen, and J. J. Ding, “Context-based adaptive zigzag scanning for image coding,” CVGIP, Kaohsiung, Aug. 2010. W. Y. Wei, H. H. Chen, and J. J. Ding, “Improved advanced image coding based on DC intra prediction mode,” CVGIP, Kaohsiung, Aug. 2010. H. H. Chen, H. T. Sheu, and J. J. Ding, “Quadtree classified vector quantization based image retrieval,” CVGIP, Kaohsiung, Aug. 2010. J. J. Ding, W. L. Chao, J. D. Huang, and C. J. Kuo, “Asymmetric Fourier descriptor of non-closed segments,” ICIP, pp. 1613-1616, Hong Kong, Sept. 2010. J. J. Ding, K. J. Liao, and W. L. Chao, “Face detection based on elliptic moments and facial features,” National Symposium on Telecommunications, Chang Gung University, Taiwan, Dec. 2010. J. J. Ding, S. C. Pei, and P. H. Wu, “Jacket Haar transform,” ISCAS, Rio de Janeiro, Brazil, pp. 1520-1523, May 2011. W. L. Hsue, S. C. Pei, and J. J. Ding, “Efficient discrete fractional Hirschman optimal transform and its application,” ICASSP, Prague, Czech Republic, pp. 3604-3607, May 2011. W. L. Chao, H. H. Su, S. Y. Chien, W. H. Hsu, and J. J. Ding, “Coarse-to-fine temporal optimization for video retargeting based on seam carving,” ICME, accepted, Barcelona, Spain, July 2011. H. H. Chen, H. T. Sheu, and J. J. Ding, “Quadtree classified vector quantization based image retrieval scheme,” ICIP, pp. 3625-3628, Brussels, Belgium, Sept. 2011. J. J. Ding, C. H. Tsai, and C. C. Chen, “Improved segmentation techniques for shadow images,” Computer Vision, Graphics, and Image Processing, Chia-Yi, Taiwan, Aug. 2011. H. H. Chen and J. J. Ding, “Image retrieval based on classified vector quantization using color local thresholding classifier,” Computer Vision, Graphics, and Image Processing, Chia-Yi, Taiwan, Aug. 2011. J. J. Ding, Y. H. Wang, and C. C. Chen, “Brain magnetic resonance image analysis by fast-scanning segmentation techniques,” Computer Vision, Graphics, and Image Processing, Chia-Yi, Taiwan, Aug. 2011. J. J. Ding, C. J. Tseng, C. M. Hu, and T. Hsien, “Improved onset detection algorithm based on fractional power envelope match filter,” European Signal Processing Conference, pp. 709-713, Barcelona, Spain, Aug. 2011. J. J. Ding and S. C. Pei, “Discrete linear canonical transform and other additive discrete operations,” European Signal Processing Conference, accepted, Barcelona, Spain, pp. 2249-2253, Aug. 2011. Y. C. Zeng, J. J. Ding, and S. C. Pei, “Recognitions of tonal sound and license plate character using filter-driven template matching,” APSIPA Annual Summit and Conference, accepted, Xi’an, China, Oct. 2011. J. J. Ding, W. Y. Wei, and H. H. Chen, “Context-based adaptive zigzag scanning for image coding,” VCIP, Tainan, Nov. 2011. J. J. Ding, Y. H. Wang, L. L. Hu, W. L. Chao, and Y. W. Shau, “Muscle injury determination by image segmentation,” VCIP, Tainan, Nov. 2011. J. J. Ding, Y. H. Wang, and C. C. Chen, “Living cell segmenting and counting using the reflex angle image segmentation techniques,” National Symposium on Telecommunications, Hualian, Taiwan, Nov. 2011. W. L. Chao, J. Z. Liu, and J. J. Ding, “Human age estimation based on distance metric and manifold learning,” National Symposium on Telecommunications, Hualian, Taiwan, Nov. 2011. W. L. Chao, J. Z. Liu, and J. J. Ding, “Facial age estimation based on label-sensitive learning and age-specific local regression,” International Conference on Acoustics, Speech, and Signal Processing, accepted, Kyoto, Japan, Mar. 2012. Wen Chieh Yang, K. H. Lin, J. J. Ding, W. L. Hsu, and R. M. Wu, “Detecting freezing-of-gait episodes in people with Parkinson's disease by time-frequency analysis: A preliminary report,” Physical Therapy Association of the ROC, Taipei, Taiwan, Apr. 2012. Wen Chieh Yang, H. B. Chen, J. J. Ding, and K. H. Lin, “A novel device for long-term monitoring freezing-of-gait in people with Parkinson disease,” TREATS Annual Meeting, Taipei, Taiwan, Jun. 2012. S. D. Wu, C. W. Wu, P. H. Wu, and J. J. Ding, “Bearing fault diagnosis based on multiscale permutation entropy and support vector machine,” International Conference on Mechanic Automation and Control Engineering, accepted, Baotou, China, Jul. 2012. J. J. Ding, W. Y. Wei, and G. C. Pan, “Modified Golomb coding algorithm for asymmetric two-sided geometric distribution data,” European Signal Processing Conference, pp. 1548-1552, Bucharest, Romania, Aug. 2012. J. J. Ding, S. C. Pei, and T. Y. Ko, “Higher order modulation and the efficient sampling algorithm for time variant signal,” European Signal Processing Conference, pp. 2143-2147, Bucharest, Romania, Aug. 2012. C. C. Chen, J. J. Ding, C. Y. Hsu, and P. H. Wu, “Adaptive region merging and border measuring for saliency detection,” Computer Vision, Graphics, and Image Processing, Sun Moon Lake, Taiwan, Aug. 2012. G. C. Pan, J. J. Ding, Y. W. Huang, and C. W. Huang, “Efficient and less buffer size image compression algorithm based on the mixture of DCTs and DWTs,” Computer Vision, Graphics, and Image Processing, Sun Moon Lake, Taiwan, Aug. 2012. J. Z. Liu, W. L. Chao, J. J. Ding, and P. H. Wu, “Facial expression recognition based on the expression-specific local binary patterns and the layer denoising mechanism,” Computer Vision, Graphics, and Image Processing, Sun Moon Lake, Taiwan, Aug. 2012. A. V. Oppenheim and R. W. Schafer, Discrete-Time Signal Processing (離散時間訊號處理), 2nd Ed., Prentice Hall, New Jersey, 1999, 曾建誠，陳常侃，王鵬華，丁建均翻譯，全華印行，台北市, 2000. J. J. Ding, Derivation and Properties of Orthogonal Transform, Master Thesis, National Taiwan University, 1997. J. J. Ding, Research of Fractional Fourier Transform and Linear Canonical Transform, Doctoral Dissertation, National Taiwan University, 2001.